Why do bees buzz? How far is the sun from the earth? How long does it take for a forest to grow? Do robots have feelings? Why do I look like my grandmother? Exasperating, exhausting, invigorating - a child’s curiosity can be any of the above and all of the above. As the adults in their lives, it’s up to us to set them on the path to discovering the answers to their questions. 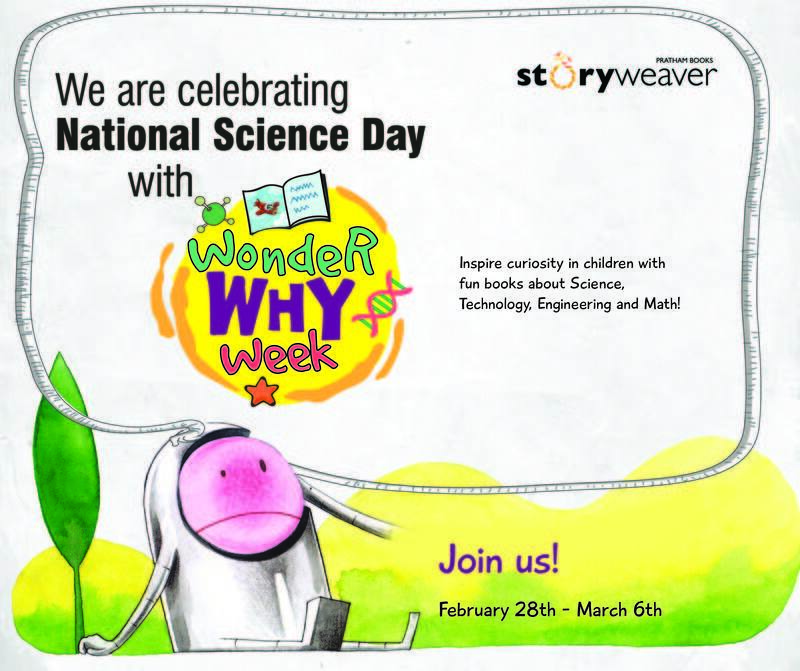 February 28th is National Science Day in India and StoryWeaver is curating a week-long celebration of curiosity and learning with a collection of non-fiction books that touch upon Science, Technology, Engineering and Mathematics (STEM) to mark the occasion. While there's plenty of great fiction being published for children in India today, there is still a dearth of simple, compelling non-fiction for young readers. Pratham Books' StoryWeaver has created 20 non-fiction, digital first books across 10 languages, equalling a total of 200 books under a grant from the Oracle Giving Initiative. While the aim of each book is to inform and educate, the idea is also to nurture the innate sense of wonder in children and in turn, encourage them to explore further. “Through these information books, we attempt to inspire curiosity in children about a range of non-fiction themes and help them engage with it in fun and memorable ways.” shares Yamini Vijayan, Content Manager, StoryWeaver. To create these books, StoryWeaver brought in Guest Editors like popular children’s author Roopa Pai, environmental writer Bijal Vachharajani, renowned author Payal Dhar and editor Vidya Mani who was a founding member of Bangalore-based Bookalore. Their in-depth knowledge about certain themes and more importantly, passion for making the information appealing to young readers were an integral part of the process. You can read more about the books and how you can take part in the celebrations on the StoryWeaver website, here. Tune in to the StoryWeaver blog for fun activities to try with children and guest blog posts by editors, authors and illustrators! See you online!